400 BOAT PLANS TO CHOOSE FROM ! WE HAVE SOLD MANY - THEY DO SELL FROM WEB SITE !!! 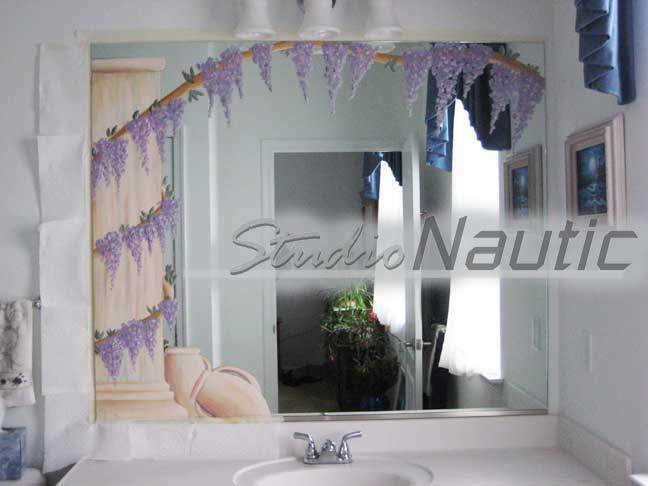 Professionally CUSTOM BUILT in Wood / Epoxy by experienced craftsmen. 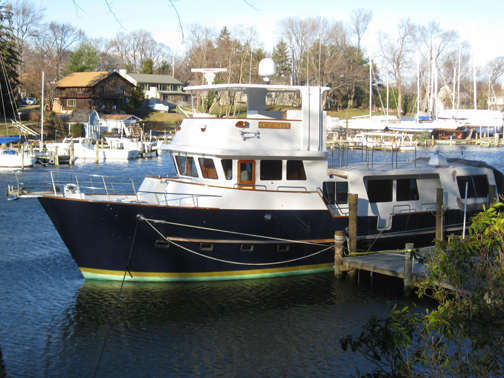 This yacht was stretched 7% plus a three foot bow sprit added to get 50� long. This 434 was professionally built By E.C. 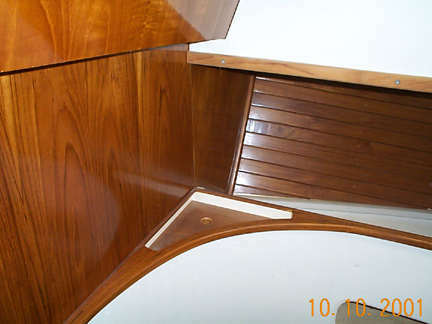 Rentmeester custom boat builder and only the finest materials were used in construction. Our goal was to construct an ultra safe ocean going vessel. This blue water cruiser was intended to be sink proof right from the start. This is our reasoning for choosing the cold molded wood construction. Also, many navel architects claim a cold molded wood yacht to be stronger than a glass boat. The wood hull will be floating needing only a small additional material to be sink proof. This additional floatation is provided by the entire hull being insulated with 1� Styrofoam (R5.56) from the water line up. The final floatation will be provided by 2 large inflatable recovery bags: one in each of the state rooms to be inflated by scuba tanks. This inflation system is not yet installed. 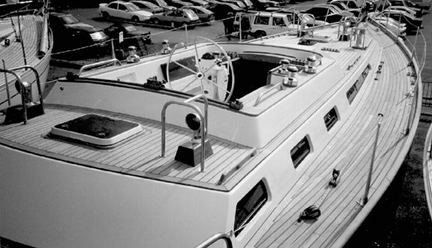 In case of an emergency, who wants to abandon the yacht and be tormented in a life raft for weeks, when all the needed supplies are onboard the yacht. The next issue we studied was the pilot house. In case the pilot house would be hit by a large wave broadside in a bad storm, we wanted to improve it�s strength. We accomplished this by lowering the pilothouse roof, giving the yacht a sleeker more racey look. Next we chose to use .5� inch thick tempered glass on the smaller pilot house windows. We also engineered our own mounting system for the glass to greatly increase the side impact strength of the pilot house. There are no water leaks what-so-ever in our mounting system. Additionally, we increased the scantlings of the stringers slightly to account for the 7% increase in length. The plans called for three panes of glass for the windshield. We added a 4th pane for both looks and strength. This is an almost new yacht which was used very little; in fact, the forward one third of the yacht has never been used and is in mint condition. The asking price is $225,000, which is 35% less than the wholesale price of the parts. You cannot build your own yacht for this price and you will need to invest years of your labor. This is an almost new yacht which was used very little; in fact, the forward one third of the yacht has never been used and is in mint condition. The asking price is $225,000, which is 35% less than the wholesale price of the parts. 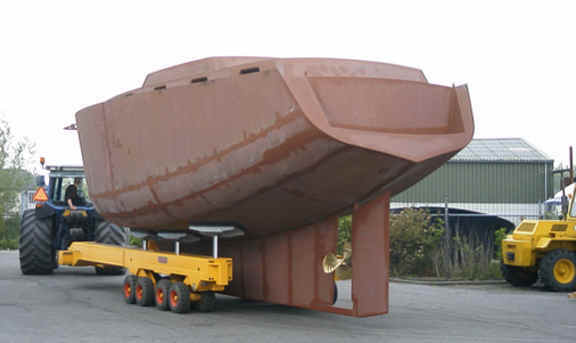 Hull structure: Steel hull & Superstructure, cut in the US using imperial plate thicknesses. 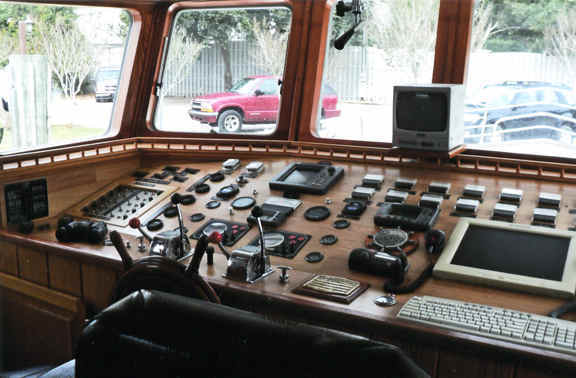 Vessel scantlings were reviewed by the USCG in 2007. Machinery: Twin Caterpillar 3056 DINA engines, rated at 125HP @ 2800 rpm. Two Uniden QT - 206 depth sounders. ASCS Pactor modem is to provide capacility for E-mail and weather FAX. Ray Marine Ray 320 12 ch GPS chart plotter with WAAS/DG PS , Shakespeare 5225-XT Galaxy 8 antenna. C - map software. Steel - Hull, Deck and Superstructure. “As new, Bruce Roberts Spray 38 professionally welded steel shell for completion by others. Included in the sale is a full set of plans from the designer, a 1,400 page step by step e-book guide to help you complete this project and free consultation with the designer. Asking price �15,000. Electro-navigation equipment from Raymarine including radar antenna, radio-phone VHF and GPS with chartplotter; • RTV equipment including TV-sat system; • Fresh water preassure system incl. 24V Johnson preassure pump and accumulator tank. 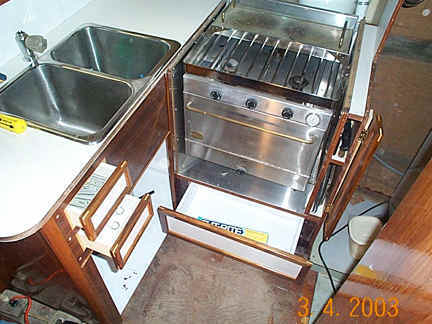 Hep2o plastic piping system; • Waste water system with Johnson macerator pump; • Exalto 24V DC electric wipers for 3 front windshields including fresh water wash; • Webasto heating and clima system; • Deck hardware made of stainless steel AISI 316; • Aft swimming platform covered with teak; stainless steel swimming ladder from aft deck to platform level; • Teak deck. 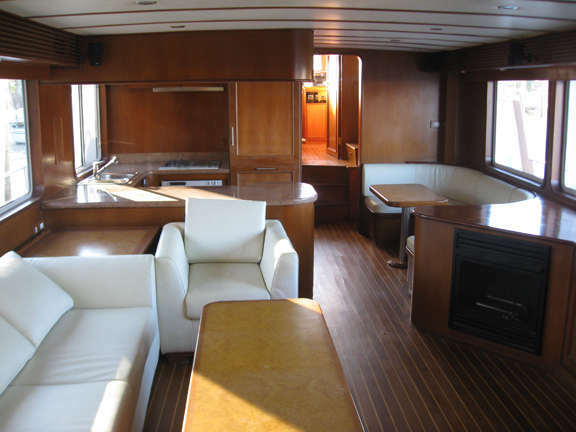 Boat deck • Cushioned sofa with locker; • 2-persons steering position with control pannel covered by canvas; • Windshield made of acrylic glass in stainless steel frame; • Hardtop with signal / navigation mast; • Stairs down to the wheelhouse; • 4,00 m tender RIB with davit. STOCZNIA „USTKA” Sp. z o.o. 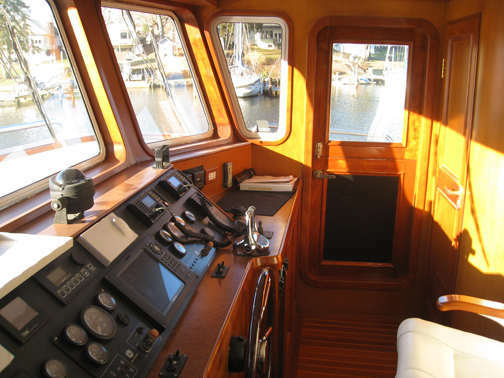 Bridge clearance (mast up) – 7,27 m Engine power – 285 hp Speed – 8-9 kn. 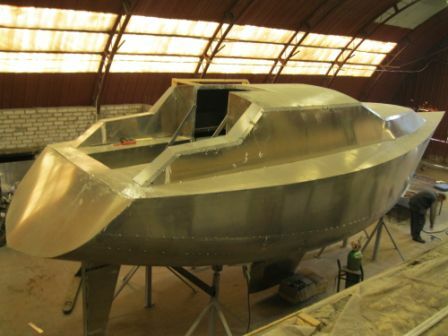 Structure: All the hull surface is laminated on isophtalic gelcoat. 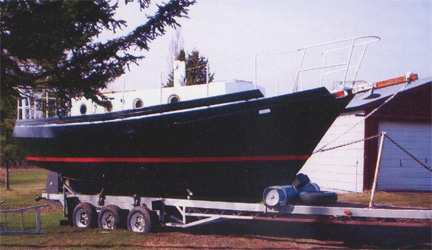 The deck and the superstructure is painted with lacquer. 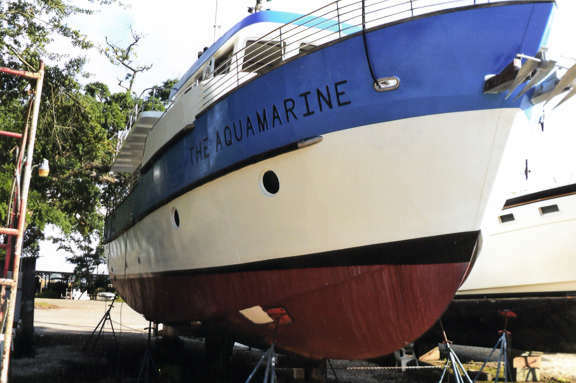 Unterwater part is protected with antifouling paint. 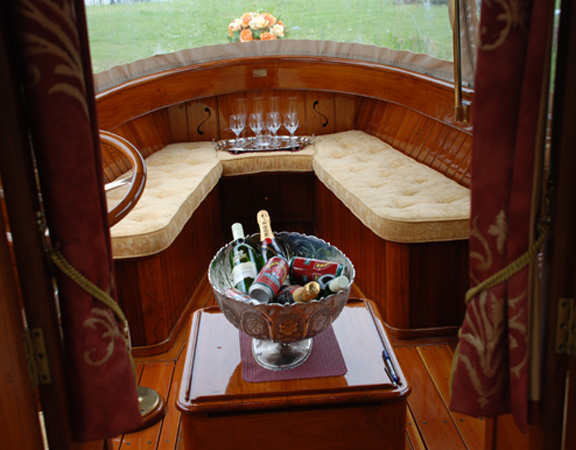 The hull is made of single skin glass-polyester laminate; isophtalic resin on first 5 layers of lamination. The deck and the superstructure are made of sandwich laminate with PVC foam as a core. 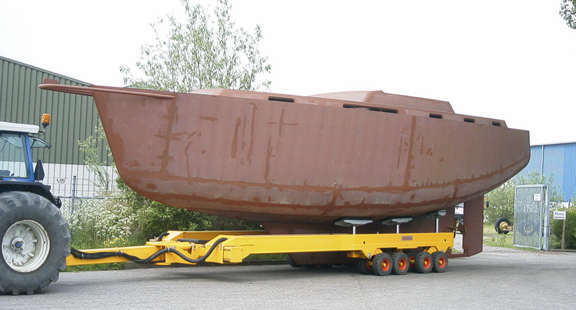 Hull construction is stiffened with four watertight bulkheads and longitudinal and transverse girders. 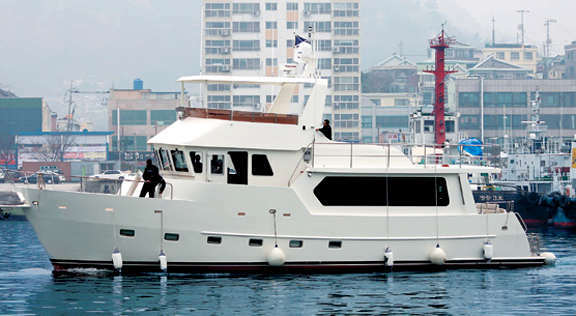 General layout global 575 is a sea going motor trawler designed for category CE – A (ocean) for 8 persons. 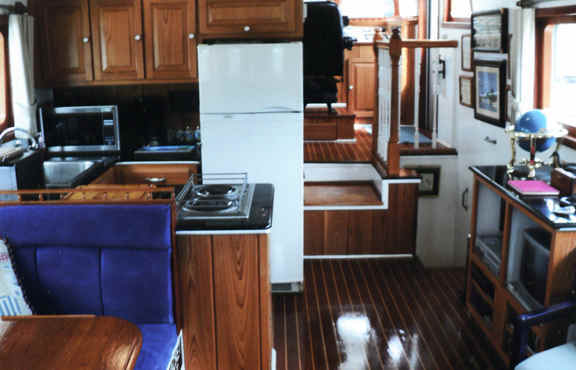 The deck is arranged on 2 levels: boat deck and main deck. There are 3 passanger cabins (2 persons each) aboard. 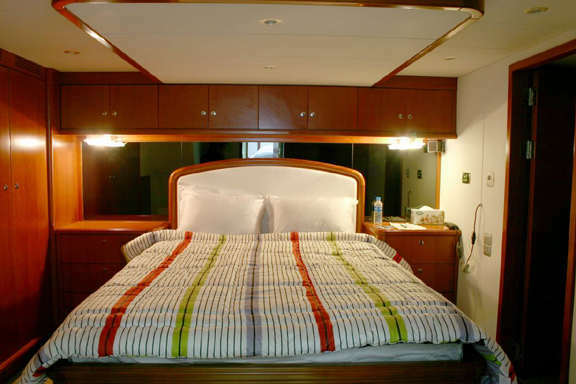 Spacious Shipowner's cabin is locateded at bow part of the boat and equipped with 2-persons queen size berth and bathroom with toilet. 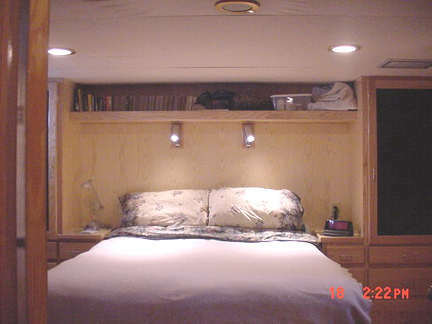 There are two guest's cabins between engine room and Shipowner's cabin and common bathroom accessible from the corridor. 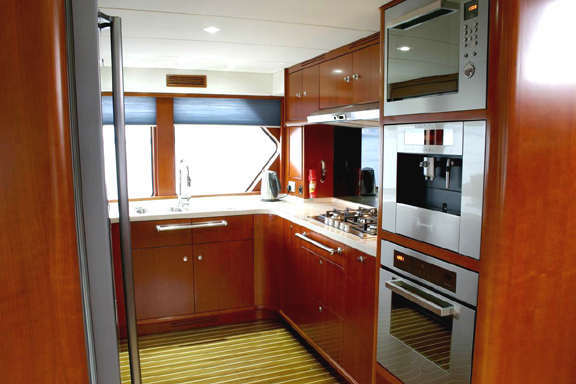 FOR SALE TY 620 / 650 "FINISTERRE"
Staterooms: VIP mid ships with queen bed, bedside tables, bed side lamps, hang up locker, desk, air conditioned and heated, teak wood finish, head with tiled shower and marble sink top. 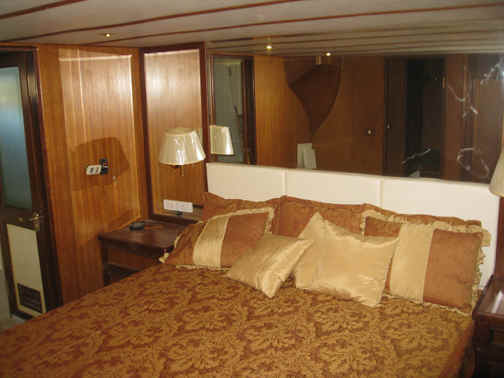 V Berth Stateroom : Forward berth with queen bed, bedside tables, bed side lamps, hang up locker, desk, air conditioned and heated, teak wood finish, head with tiled shower and marble sink top. Bow and Stern Vetus electric thrusters. All Heads are vacuum flush 12 v dc TECMA system household size bow connected to a 150 gallon holding tank located under floor boards with built in macerator pump, Showers tile walls and floors. 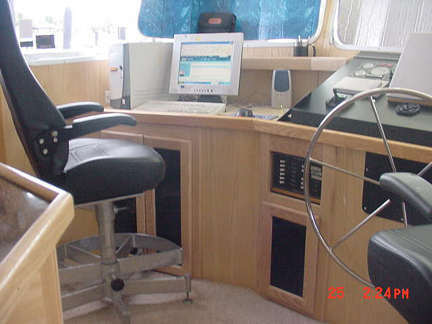 located on starboard side wi th desk, wall storage, drawers, air conditioned and heated, teak and holly flooring. Duel John Deere engines 6068 continuously rated diesel engine at 1800 RPM including ZF marine gearbox with power take offs. 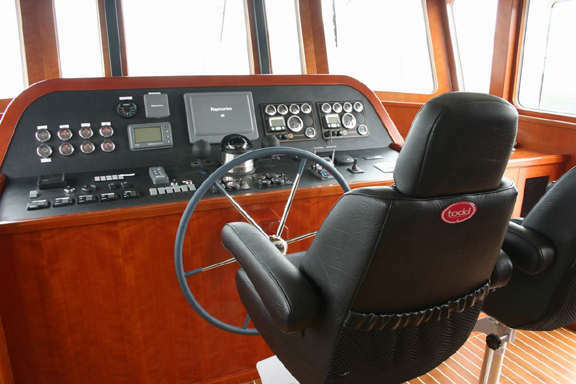 Complete engine instrumentation at both helm station and fly bridge including key start with engine overheat and low oil pressure alarm gauges. Dual steel rudders with stainless steel shafts connected to a hydraulic steering system. Dual hydralift wet muffler system, Four automatic bilge pumps, Fuel management and transfer system with fuel polishing including isolation valves, Six fuel tanks interconnected by isolation valves. Dual Racor fuel filter systems for main engines and FG220 fuel filter for generators. Centennial SPRAY 38 - round bilge steel. Now, unfortunately the time has come when I must put my loved Kermit for sale, and I would be happy to have him at your brokerage page. Spray certainly need no further presentation, but I must say that it is a fantastic design in every way. 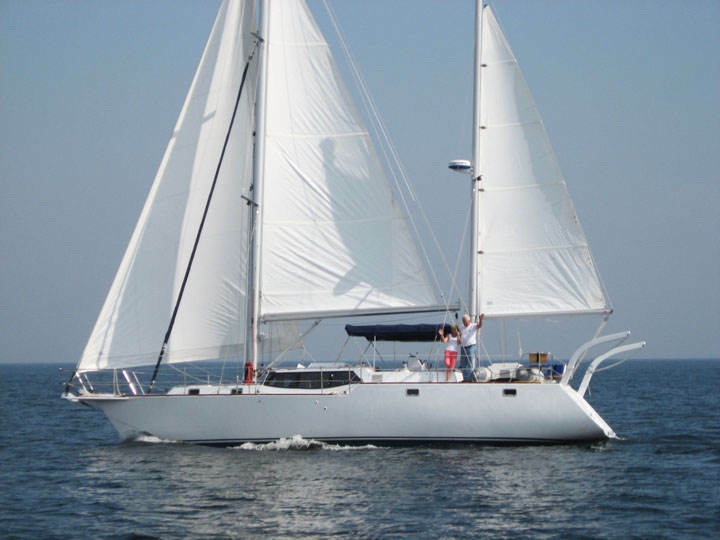 She sails extremely well and stable and can be loaded into virtually any amount. 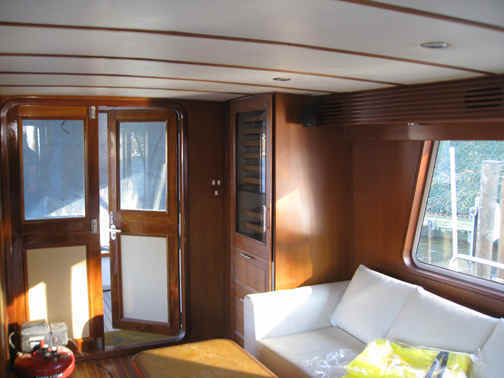 Kermit is a round bilge steel Centennial Spray 38, built in Sweden (finished 2009) to the highest standard when it comes to both materials and construction and by the best craftsmen. 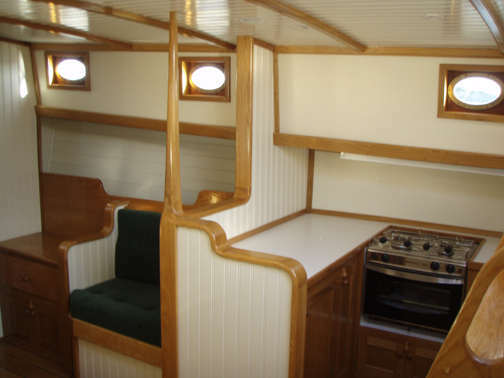 The result is a top class interior, made of solid oak and pine and in a design that matches well the boat in general. 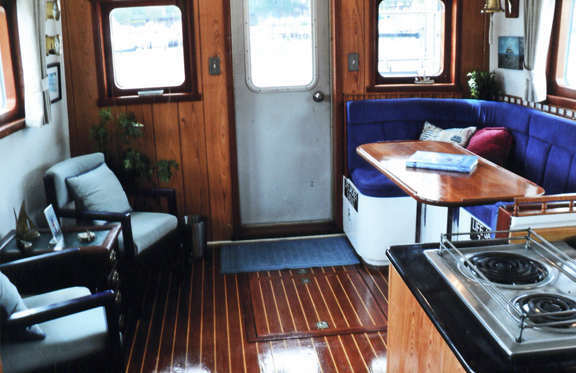 The boat is intended for blue water cruising and living onboard. I enclose two pictures but there are many more. The boat is lying in Stockholm, Sweden. For more information and a more complete description don’t hesitate to contact me at Sverker.H@spray.se or +46730555526. Asking 1 995 000 SEK (about 220 000 Euro), but will listen to any offer! PS. I would be happy if these two pictures could be used in the ad. More pictures to be send in next couple of mails. DS. Roberts Voyager 432 - this is what the finished boat looks like ! Suggested Layouts; other arrangements possible. SOLD ! FAVERSHAM KENT ... ENGLAND UK. Comes with complete boat plans and engineering drawings. She measures 43ft 7ins o/a 37ft 8 w/line 14ft 2ins beam and draws 6ft. Designed to have 2 master double cabins with the after cabin ensuite she can be rigged as a sloop, cutter, ketch or schooner etc. 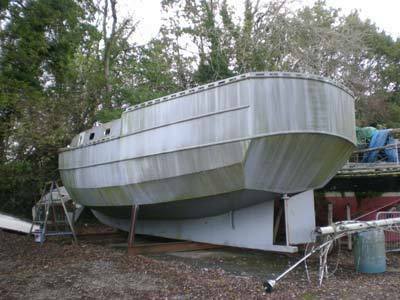 This boat cost over �60,000 to this stage and would be a marvellous opportunity for anyone wishing to fit out a 'round the world' ocean cruiser, and an amazing bargain. 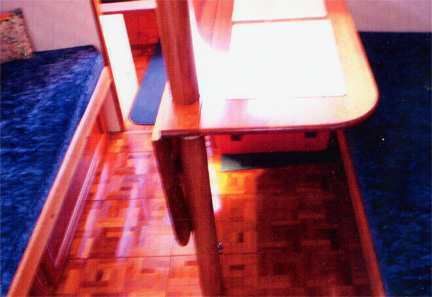 ACCOMMODATIONS AND LAYOUT: Large Forward Stateroom, with bunk beds, access to anchor locker, hanging locker, head with vanity and manual marine toilet. 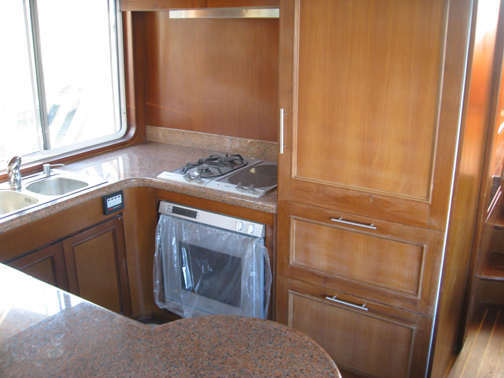 Huge galley with a large wooden counter-top, large deep DC refrigerator and freezer, gimbaled Shipmate three burner propane stove with oven , double sink/with water filter, tiled counter top, and microwave. 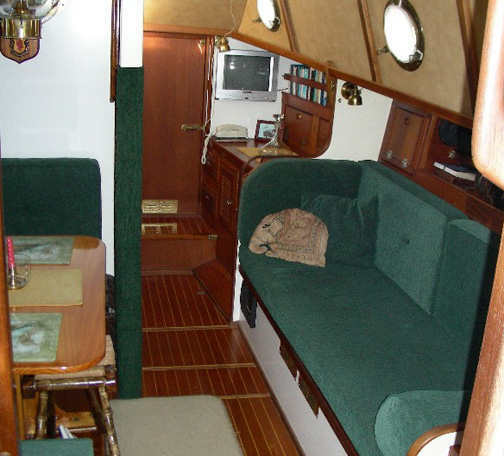 The pilot house/ Saloon has a lower helm, with large teak Edson wheel and full navigation instruments, L-shaped settee and dining table, TV, 6’ 6” settee. Dive compressor, storage lockers, and access to the main engine and generator through a floor hatch. The passageway to the aft stateroom has full headroom, storage lockers, and access to machinery. The aft stateroom has a queen berth, many storage lockers, and an adjoining head with walk-in shower. Hi, Bruce! 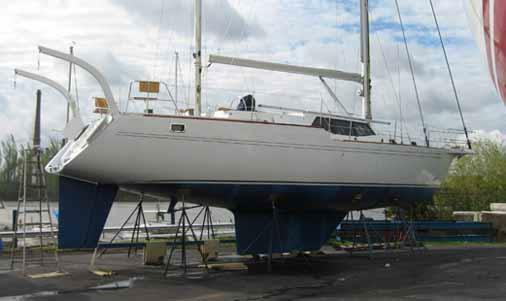 Our lovely R-38 Ketch - Donna's Diamond - has been sold. Thanks for helping! I think her new owner is going to love this boat, as we did. She is sound and ready to go! Hi, Bruce! 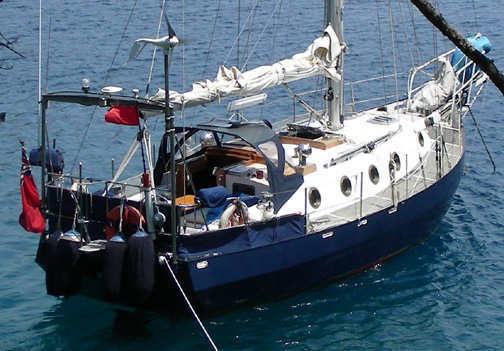 Well, the time has come for us to sell our much beloved Offshore 38B Ketch. 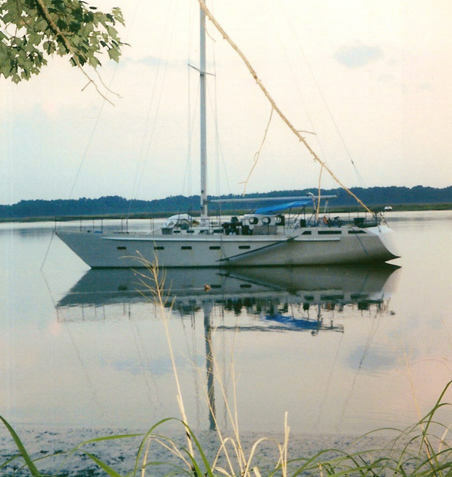 Donna's Diamond was launched in 1992 and we have sailed her to the Bahamas from Texas twice, plus lots of offshore races and other fun. She is a superb vessel and we love her dearly. It breaks my heart to sell her, but I need to do so ASAP. Your son Dane has been a friend and a huge help through the years, and I helped him sell at least one BR design several years ago (I used to own Mustang Island Yachts, but recently sold the company). Voyager TY 620-AB - SISTER SHIPS NOW BEING BUILT BY GHI IN KOREA ... CONTACT BC Kim pr_bckim@ghi.co.kr for current specifications & prices . Trawler Yacht "MY BLUE STEEL" Registered in Isle of man, UK and departed 1800hours on December 29, 2009 from Mokpo, Korea. She started to explore for about 5000 miles to the Singapore, to be estimated to touch one or two ports for the supply. The Owners has been very satisfied with the interior and sea trials; max speed about 12.7 knots with twin 235HP John Deere at 2000 rpm and 7.0~7.5 knots with one engine at 2000rpm. Crew were Mr. Rod Steel as the Owner and his wife, Mr. John Holbrook and their friend total 4 persons who have lived in Singapore. Now I am receiving email time to time from them as follows, wishing bon voyage. I are proud to build with your good design and thanks for your assistance in marketing GHI Yachts Korea. 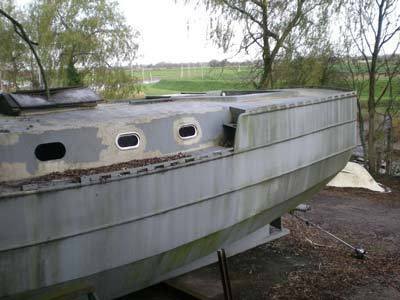 Steel Spray 40, aft cabin layout; double welded construction, zinc coated exterior, poured-in-place lead ballast, coal tarred interior, foam insulation, all tanks in place, main cabin 75% complete, 60 HP Benz diesel with transmission & 21" dia Propeller still to be installed. Main and mizzen masts (ketch) included. Two Anderson #48 SS ST winches included, manual bronze windleass optional. Lying Toronto Canada in fenced yard with low rent, welding and woodworking facilities. Scorcey was sold to John Sterling of southern California two months ago. He intends to keep her somewhere in Mexico on the west coast. It is currently at Ortega landing in Jacksonville Florida while I train him on all of her systems. 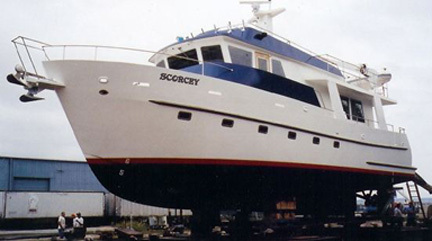 Janet, my wife, and I lived on Scorcey a 620 for nine and a half years and loved every minute. If anyone wants a sunset or sunrise picture we probably have over a thousand. Thank you for your continued interest and I will look at other designs in the future. 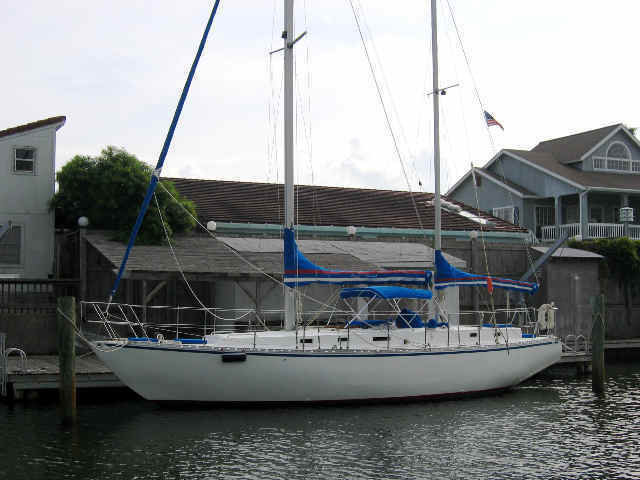 "S/V Blue-Belle" for sale. Launched in 1995. 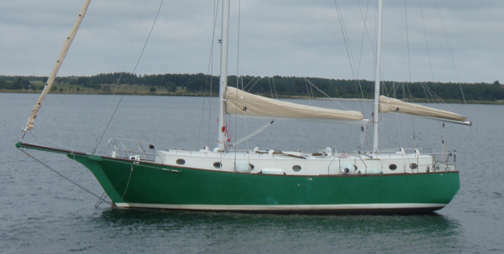 Heavy duty classic ocean cruiser with two transatlantic crossings. Very comfortable and reliable in all weather conditions. The story of her 6 year voyage has been published as a book in Turkish in 2005, with an English version coming soon. located in Marmaris - Turkey (in the yard). Ready for blue-water cruising. Fuel 20gals Water 50 gals Holding Tank 130gal. 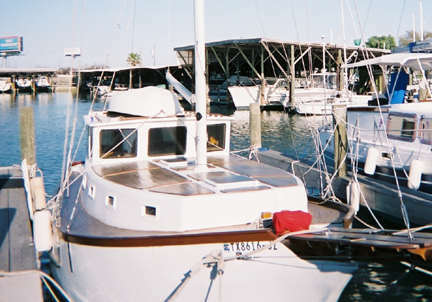 Built 1984 Steel hull & deck, insulated above the waterline. Boat is lying in Wisconsin and has only been used in fresh water. She is currently sitting on a triaxle trailer which will convey with the boat. The Spray 28 is a wonderful, trailable pocket cruiser. 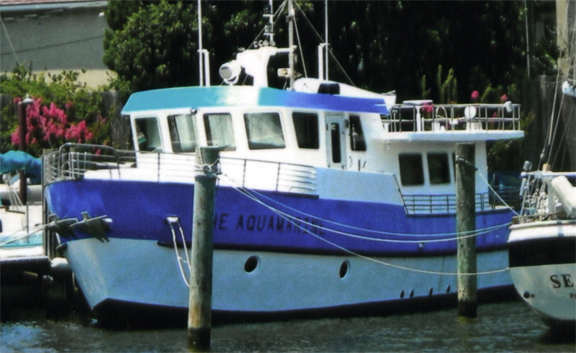 She has the space and stability of a much larger boat with the ability to go most anywhere. Thousands of Sprays have been built world wide and their owners love them. 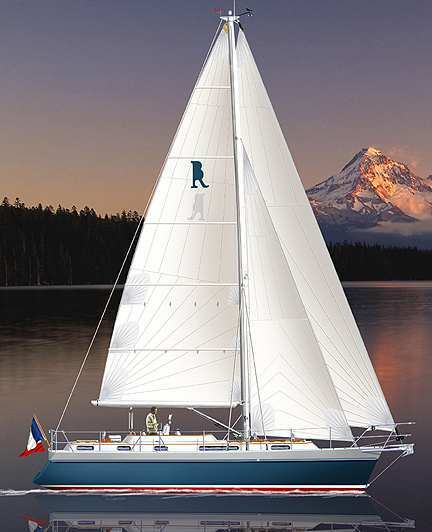 If you are considering a true, go-anywhere, small cruising sailboat you must consider the Spray 28, and “Gypsy” is a fine example. 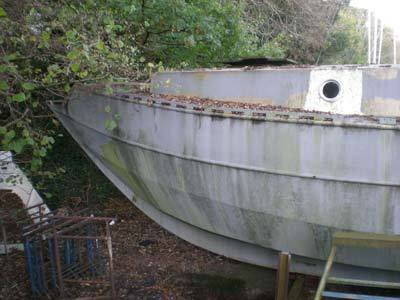 HELP - BOAT FOR SALE - CAN YOU HELP! Hi there Bruce, this is drawing a REALLY long bow but I wonder if you can help us at all. I live just outside Brisbane, my sister-in-law in Windhoek Namibia. My brother died suddenly a few months ago. His UK registered ketch Siobhan is lying at anchor in Luderitz. My brother had just left Cape Town having refitted the yacht for extended cruising and was on his way up the coast to pick up my sister-in-law but then his liver failed and he died. The problem is I am in Australia, Antje knows nothing about boats and we can’t get the boat back to Cape Town because the weather windows just aren’t there at this time of year. There are no brokers in Namibia and the yacht is in a big open bay. This is probably just silly writing to you like this, but I thought I would give it a shot, we feel so lost. Kind regards, Felicity Smith. "Clarity" is finally sold and my wife is happily investing the proceeds in our new home! "Clarity" will winter-over in Deale, MD; then she will sail to her new home in Muskegon, Michigan.